Are you having trouble getting rid of that stubborn belly fat? Well, we’ve got the top ab workouts for women here that will give you that smooth midriff you’ve always wanted. While these workouts vary, make sure you pull that belly button so your ab muscles get a thorough workout. These abs workouts can be done at home or in the gym. As we’ll show below you don’t need expensive equipment to do these workouts, but if you’ve got a gym membership then you’ll be able to use their equipment to perform these routines. To do this abs workout for women at home you need an exercise ball. Sit on the ball and put your hands at the back of your head. Walk your feet away from the exercise ball, allowing your torso to roll in. The ball will provide support for your lower back’s curves and hips. Bend your knees at right angles and your legs form a bridge. Exhale and raise your upper body by 45 degrees. Pull your abs toward your spine and go back to the starting position. Repeat 25 times. Do not yank your neck while doing this routine. One of the best ab workouts for women, Pilates just requires an exercise mat. Lie down on an exercise mat. Position your legs, knees and hips at right angles. You need to round your lower spine, and to do this you have to engage your abs. Ensure you are working your deep abs, and not just the top part. Exhale and raise your upper back off the ground until your shoulder blades’ bottom tips skim the ground. Straighten your legs so it is at an angle of 45 degrees. Make certain your lower back is still making contact with the floor. Extend your arms to your feet. Your arms have to be a couple of inches off the ground. Start pumping your arms while ensuring your elbows are straight. Inhale and exhale five air pumps each. That is one cycle, and you need to do it nine times. Make sure your upper body is steady as your arms are pumping. Commence on the floor, resting on your knees and forearms. One at a time, step your feet out, assuming a plank position. Start contracting your abs. Done right your spine will now be parallel onto the ground with your abs pulling up. Maintain this position for 30 seconds. When you’re comfortable with 30 seconds, work your way up to a minute. Lie down on an exercise mat and press your lower back on the floor. Pulling down your abs is also required. Place your hands behind your head and interlace your fingers. Move your knees in the direction of your chest. Raise your shoulder blades of the mat at the same time. Next, your leg needs to be straightened out to an angle of 45 degrees to the floor. At the same time, move your upper body along the left and position your right elbow to towards your left knee. Your rib cage also needs to move along with your elbows. Switch sides and repeat the same motion on the other side. This is one rep. Do each repetition slowly and with control. To perform this women abs workout, start by assuming a side plank position on your right. Your feet should be stacked up on top of each other. Your right elbow should support your weight, palm face down and your fingers stretched away from your body. Position your left hand to the back of your head. Pull your navel to your spine as you exhale. This move engages your abs. Now rotate your left rib to the direction of the floor. Maintain that position for a second and pull your navel into your spine. Resume your starting position and perform 8 reps in total. Switch sides and repeat the reps. Sit on an exercise mat or the floor, your heels about 12 inches from your buttocks and with your knees bent. Lean back a bit but make sure your spine isn’t rounded off. Keeping your back straight is difficult the first time out, but it’s important you don’t allow it to curve. Straighten your arms in front of you. Place on hand in front of the other, with your hands positioned level to your rib cage’s bottom. Start pulling in your navel to your spine. Twist to the left slowly. Make sure the movement is small and comes from your rotating ribs, not your arms. Inhale in the middle and rotate to the right. This makes up one rep. Perform 16 reps. If you find this workout too easy, make it more difficult by holding a medicine ball or dumbbell to your chest. This is a good workout for your abs in general but is especially good for your lower abs including the deeper ones. Your abdominal muscles also function as stabilizers and improves your physique. Grip a pull up bar with your palms facing each other or facing out. Begin with your legs hanging down straight. Exhale and draw your abs into your spine. At the same time, bend your knees and raise them to your chest. Bring your knees down and resume your straight leg position without swinging your legs. Sit down and on an exercise mat. Loop a resistance band handle on your left or right foot. Use both hands to grab the center of the tube. Lie down on the mat. Pull your navel into your spine. Press your lower spine onto the mat for protection and raise your legs so they are almost straight up. Grip the band and scissor up and down your legs, commencing with your left leg. Point your toes while moving slowly. A set is complete every time your right foot goes down. Perform 10 to 15 sets. If this workout is too easy, bring your legs down 6 to 10” above the mat. Make sure also you’ve scooped your abs as you work out your legs. Perform 10 to 15 sets with your legs scissored. Lie down on an exercise mat. Lift your legs and arms at an angle of 90 degrees. Engaging your abs, raise your pelvis and shoulders off the floor. Use your fingers to touch your toes and ensure your core is fully engaged. Slowly go back to your original position until you’re back in your original position. Perform 20 reps of this exercise. Assume a plank position and keep your body straight from your heels to your head. Contract your abs and slowly switch from standard plank to side plank. Slowly turn your body and raise your left arm off the mat, putting all the weight on your right hand. Turn your body and start reaching up. Ensure your body remains straight with your left foot over your right. Make sure your abs contract and that your palm faces the floor. Maintain this position for half a minute. Lie down on an exercise mat with your knees slightly bent. Ensure your core is engaged and your back is flattened. Grip the medicine ball by your chest. Curl your body so you’re seated. Extend your arms fully, still holding the medicine ball. Curl down and let your core go. Put your medicine ball back to your chest and set your back flat. Assume a high plank position so your wrists, arms and shoulders are aligned. Your back needs to be flat. Engage your glutes and core. Lift your left arm, extend and punch forward. Make sure your movement is controlled with your core engaged during the entire procedure. Engaging your core also keeps you balanced. Bring your left arm back to its original position, keeping your wrists, arms and shoulders are aligned. Lift your right arm and punch forward just like with the left. Alternate between left and right hand punches. Ensure your core is tight throughout the process. To perform these ab exercises for women, you have to put foot straps on. Extend your body and assume a plank position. Assume a straight plank position, keeping your core engaged. Set your knees to your chest, resume your starting position and repeat. Grab a kettlebell and position it overhead. Extend your arms and lie down facing up. Bend at your waist with force. Bring the kettlebell and your arms forward. At the same time you should slightly pull your heels back. Pull in the direction of your glutes and stand up. Once you’re standing up, slowly assume a squat posture. Roll back your torso and repeat it. Lie down on an exercise mat with your lower back pressed down. Place your hands at the back of your head for support. Lift your legs and raise them up. Bend your knees slightly and cross your ankles. Contract your abs during this workout by raising your torso in the direction of your knees. Don’t let your chin stay on your chest when you contract. Exhale during your upwards contraction and inhale as you assume the starting position. There are a lot of different workouts, and while they vary in style, the essential points are the same. Focus on developing and strengthening your core. This won’t just make your abs look better, but it will also make you less vulnerable to injuries. Concentrate on working all your ab muscles. Don’t let yourself become too comfortable with each workout. If it becomes too easy, add to the reps so it becomes more difficult. There are a few other things you need to consider. Don’t just go through the motions: make sure you’re doing each workout right. You have to be focused on every movement, otherwise the intensity level will drop and you won’t be able to reap any of the benefits. This is the reason we keep saying your deep abs need to be engaged. Unless you’re working out those muscles it’s not going to provide any benefits. Concentrating on what you’re doing also makes it possible to increase the intensity. Don’t limit yourself to the typical crunch. While crunches do help it’s only going to take you so far. 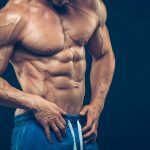 That doesn’t mean you shouldn’t do crunches, but after a while your body will get used to crunches, so you’ll need to shock your body to force your ab muscles to work out. Here are some more tips so you’ll get more out of each workout. 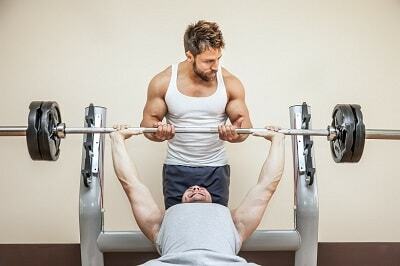 You can increase the intensity by reducing the rest period between sets. Dong so will force your muscles to work overtime. You can also add more weights and increase the resistance, sets or reps.
Change your workouts so there is a greater challenge. If you regularly do sit ups for instance, you can add weights to make it more challenging. Or if you’re performing a hanging leg raise, hook up a cable band to your legs prior to assuming your position. Because of the cable band it’s going to be more difficult to raise your leg. What the tips above suggest is you have to go with variety. No one goes into the gym to do the same thing over and over, and the same rule applies to ab workouts as well. Your abs, more so than other muscles, adapt to workouts very well so it’s essential you change things up. Do not forget about compound workouts as isolation ab workouts don’t work. If you want to build up strength you’ll need to do deadlifts, overhead presses and squats. While it may not seem different, these workouts work out all your muscles including your core. If you’re going to do other workouts, perform the ab routines at the end. Doing the ab workouts first will tire you out and make it almost impossible to other workouts correctly. Not going on a diet: this one is obvious but bears repeating. The most effective way to reduce body fat is to go on a healthy diet. It doesn’t matter how many crunches and planks, it’s not going to make a difference if you don’t eat right. You just need 15 to 20 minutes for your abs, and the rest can be devoted to working out other parts of your body. You don’t need to do all the workouts given here. You just do 10 to 15 routines from the ones mentioned above. You can choose any you like from the list above and perform the workouts. Some of the workouts have the reps and sets listed but others don’t. If there is nothing listed, just do as many as you can. No matter how many reps and sets you do, make sure you’re doing the routines correctly. Even the best ab exercises for women won’t produce any benefits if the posture is incorrect so focus on getting the movements right. Once you’re comfortable with these workouts you can swap them. There are no shortcuts to getting flat, firm abs. You need to go on a healthy diet, workout and perform these fat burning workouts on a regular basis. It’s going to take time and effort but you will get the results you want. What’s important is that you perform the appropriate ab workouts for women to get the best results. Hi Jan. It could be difficult to start but with a step by step approach, you should be able to make progress and start getting results. The hardest thing is to start. When you get momentum with your workouts it all will look easier for you.